Looking for the feeling of ‘a little more space’? 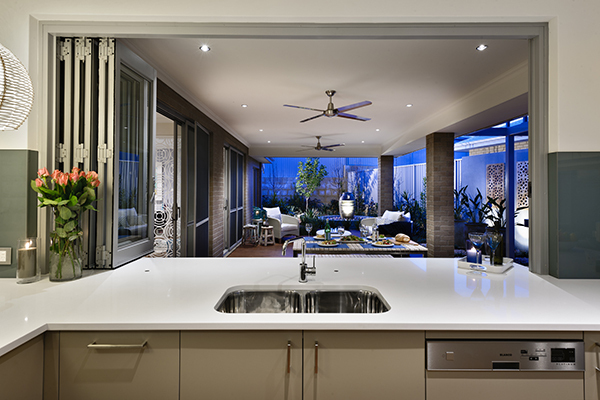 WA Custom Glass Bifold Windows can help you make it happen. Bifold Windows are versatile, easy to operate and provide a great way to blend your inside and outdoor areas, whilst letting in natural light and surprisingly more ventilation. In addition to allowing even more fresh air to circulate the area, Bifold Windows transform any room into a more social, fun-loving environment. They’re a fashionable alternative to ordinary windows and will make your home the ideal destination for entertaining. Glazing – With a large range of glazing options, Bifold Windows help enhance the performance and comfort of your home and optimizing your entertaining areas. Energy Efficiency – Bifold Windows are energy efficient and with the right glass selection, they can be even more so. Security – Our Bifold windows feature satin chrome and stainless steel – nothing but the best for your safety and security needs. WA Custom Glass Biofold Windows are made to order in custom sizes, configurations and a range of colours to choose from. Ready to find that feeling of ‘a little more space’ to your home?